A founding member of Dramatic Question Theatre, Maria is a graduate of Brooklyn College, where she developed her first play under the guidance of Jack Gelber. She is a member of the HB Studios playwrights unit, run by Donna DeMatteo, and also studied with Roger Hendricks Simon. A long-time member of the Puerto Rican Traveling Theatre’s Professional Playwrights Unit, she has been the Unit Director since January 2009. Her produced plays include: THE BRIARS, THE HAZEL TREE (a medieval fantasy), WALLENBERG, LOYALTY LIES (historical Richard III), and THREE MEN ON A BASE, the story of Jackie Robinson, Branch Rickey and the Brooklyn Dodgers. Her latest play, THE MATINSKY CYCLE: PLAY ONE, was performed at the Huron Club at Soho Playhouse in June 2012. A founding member-playwright of the Dramatic Question Theatre, Michael also serves as the company's Executive Producer, responsible for creating and implementing both the new play development programs and the community outreach initiatives. 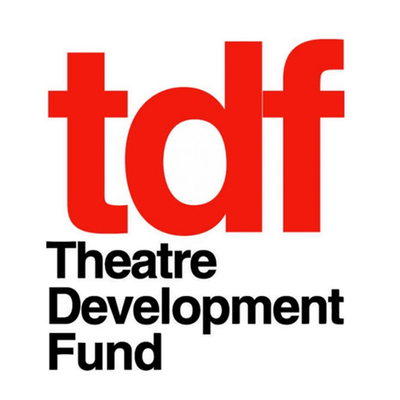 Select producing credits for DQT include THE BALLAD OF HIM AND HER, the Bar Play Series, the Playwrights/ Directors Lab, the Fresh-Faces Reading Series, the Familiar Faces Reading Series; and, as part of the Developmental Production Series, FIREHOUSE and CODA (FOR FREDDIE BLUE). Additionally, Michael founded The Reading Series at the Kettle of Fish and curated the series from 2001-10, introducing over 300 new writers to the New York City publishing community. From 1989-96, he was on the literary staff of the AboutFace Theatre Company (NYC), and was the company's Literary Manager from 1991-96, responsible for new play development programs. Currently, Michael is developing The Latino Presence, an audio platform for Latino authors. His work for the stage includes MUJERIEGO, GHETTO BABYLON, THE SHOO-IN, WAITING FOR LUCY, and HAMLET PEREZ MACBETH. Michael's work has garnered several honors including the National Latino Playwriting Award (Winner), the MetLife Nuestras Voces Playwriting Competition (Finalist), and the Princess Grace Playwriting Award (Finalist). His plays have been read, work-shopped, or produced by the Dramatic Question Theatre, the 59E59 Theaters, the Huron Club of the SoHo Playhouse, the Theatre for the New City, the Puerto Rican Traveling Theatre, the AboutFace Theatre Company, the New Federal Theatre, and the HOME for the Contemporary Theatre and Art. Noemi is a founder member of the Dramatic Question Theatre. She received her MFA in Theatre Arts from the University of Iowa (Patricia Roberts Harris Scholarship), as well as a Masters of Science Engineering from Princeton University, and a Bachelors of Science Engineering from Cal Tech. She is a member of the Dramatists Guild. “Pura vida” to her husband Ron! Her plays include: GENERAL HISPANIC (finalist MultiStages New Works contest 2012), MANUEL VS. THE STATUTE OF LIBERTY (winner – 2014 NYMF Developmental Reading Series Award, Official Selection of the 2015 NYMF Grand Jury), THE REVENGE OF SUICIDE JACK, and LIGHTNING STRIKES TWICE (10 min. musical). A member of the Professional Playwrights Unit at the Puerto Rican Traveling Theatre from 2004-2012, she also performed the solo show FOUNTAIN OF YOUTH at Theatre 3. Born in New York, Fred is a former businessman, special ed teacher, cab driver, and bartender whose experiences inform his two dozen plays, including a Drama League award for FAST SHUFFLE and a nomination for his play LACY. Fred has written over 20 plays that have received public readings. Some of his performed works are NYC premieres of ARTHUR MURRAY TAUGHT ME DANCING IN A HURRY; PARTNERS; TUXEDO JUNCTION; EENIE MEENIE MINEY MOE; PHOMPH!! ; SAMMY’S LAST CALL; CODA (for Freddie Blue). His 2010 BARFLY’S TRILOGY- RYE ‘N GINGER; DOUBLE STOLI; TANQUERAY, was produced by the Dramatic Question Theatre (DQT), for its popular Bar Play Series. Fred holds a Hunter College (CUNY) B.A. and M.S., and is a member of the Dramatists Guild and a former member of the Puerto Rican Traveling Theatre’s Professional Playwrights Unit. He is a founding member of DQT and his latest play BILL: A Rake’s Tale, was developed in the DQT Playwrights/Directors Lab 2011 at Theatre for the New City, and was performed at the SoHo Playhouse Huron Club in March 2012. He has recently adapted Strindberg’s THE DANCE OF DEATH,(renamed THE DEADLY DANCE). A founding member of Dramatic Question Theatre, Allen was awarded the Borimix Award in 2011 for lifetime service mentoring Hispanic playwrights. In 2010 he was accepted as a colonist at The Virginia Center for the Creative Arts, and he was recently the winner of the TADA! Youth Theatre Award and a Life Time Achievement Award from The Hispanic Organization of Latin Actors (HOLA). For 32 years he directed the Beginning and Professional Unit of the Puerto Rican Traveling Theatre. He was also a Writer-in-Residence at the University of Alaska, Anchorage. His plays have been produced regionally and in New York, and his children’s plays are published by Samuel French. Erica Silberman is a playwright, director, producer and memoirist. Her plays have been produced or developed at the Ensemble Studio Theatre, Playwrights Horizons, New World Stages, New York Theatre Musical Festival, The Stonington Opera House, Metropolitan Playhouse, Six Figures, New Perspectives and HERE. She has written sixteen times for the acclaimed twenty-four hour theatre short play and musical production theAtrainplays, and was featured in The Best of theAtrainplays, and on PRI’s Studio 360 with Kurt Anderson in a piece on writing under pressure of deadline. Erica was a finalist for the Susan Nims playwriting award at Alaska’s Last Frontier Theatre Conference in 2012 for her play Ms. Baxter’s Good Deed. She is a member of the Dramatists Guild of America, serves on the board of directors at the League of Professional Theatre Women, and for the past eleven years she has held various positions at Girls Write Now, an award winning after school writing/mentoring program for high school girls from underserved city schools. Brittany Barker, 23, is a Guyanese-American by way of Harlem, NYC. She is currently pursuing a Master of Arts in Teaching from Relay Graduate School of Education and is the lead 10th grade English teacher at Uncommon Collegiate Charter High School. A writer and spoken word artist, Ms. Barker recently debuted her first one woman show, "BlackGirl ThirdSpace: Standing Upright in the Crooked Room" at Theaterlab, NYC. Ms. Barker is the 2012 Knicks Poetry Slam 2nd place winner; founder of Dickinson College's first spoken word poetry collective, Exiled Poetry Society; and, has twice attended the White House as a representative for Girls Write Now Inc. She is currently working on the second installment in her BlackGirl ThirdSpace series. 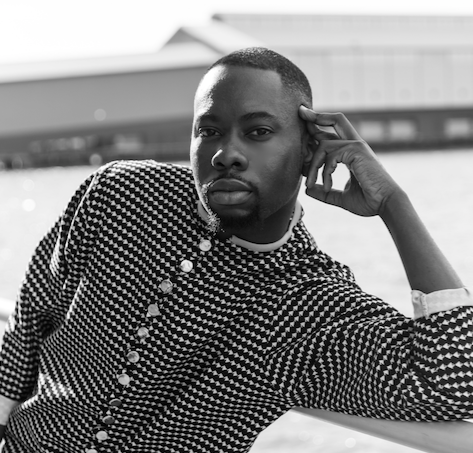 Starting as a style intern for EbonyMagazine, Jervelle now holds a production assistant position at Bureau Betak (top fashion/luxury brand production company) in which he helps to unveil the collections of brands such as DVF, Alexander Wang, JasonWu and more. He recently workedunderAmieWitton-Wallace, the global communications directorof IvyPark (Beyoncé's athleticwear) and Les Girls Les Boys . He is the social media director of 5001 Flavors; the force behind some of the most iconic looks for artists like Biggie,Tupac, AliciaKeys, Mariah Carey and DjKhaled. He is also on currently on the team of former NFL Player David Carter. He is a NYC based journalist who has interviewed people such as Ty Hunter (Beyonce'sstylist) and Brad Johns (celebrity hair colorist) to name a few. He is an immigrant from St. Lucia and was classically trained at New York City’s own fame school, LaGuardia High School. He made his Carnegie Hall debut 14 and also debuted Grammy Award winning musician Arturo O'farrill’s piece, “AStillSmallVoice,” at Symphony Space at 17.